Length 5 to 7.5 mm. The adults are yellowy-orange and black, the females slightly larger than the males. Habitat where Willows and Poplars are present. Larva associated mainly with Willow but occasionally with Aspen. 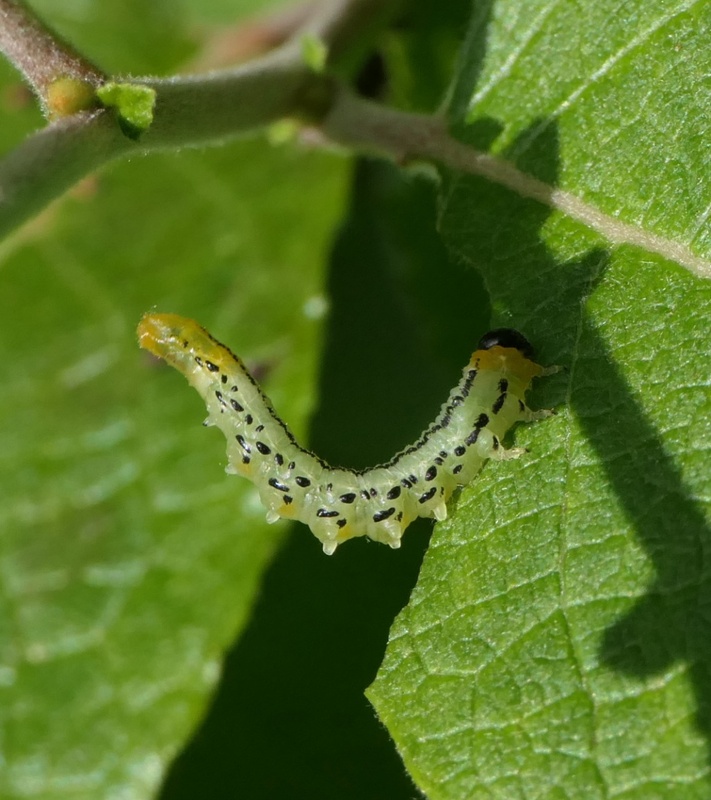 The eggs are stuck to the leaves.The larvae have a black head with a yellow collar. The body is greyish green with two, more or less solid, parallel lines running down the back for the length of the body, and below these a series of black spots. Fairly common, with most British records coming from England. Not well recorded but thought to be fairly common in Leicestershire and Rutland.